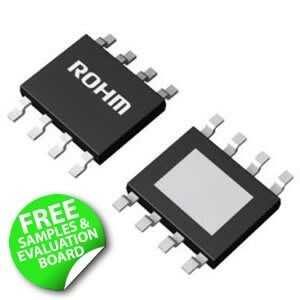 ROHM has launched a 12 to 76V input, 3A variable output voltage, DC/DC Buck converter with integrated 80V/150mΩ MOSFET optimized for high power (high voltage x large current) applications such as motors, factory automation equipment, communications infrastructure, and industrial machinery. In recent years, with the increasing importance to conserve energy in all areas comes a push to achieve greater energy savings – even in the industrial equipment sector – through the use of high power semiconductor devices and power supply ICs. And with this comes a need to provide breakdown voltages higher than the input voltage to prevent damage due to instantaneous surge and transient voltages (such as those caused by lightning). In response, ROHM leverages its advanced cutting-edge power processes and vertically-integrated production system to develop products for the industrial equipment market that demands long-term, stable supply along with high reliability to enable continuous operation. 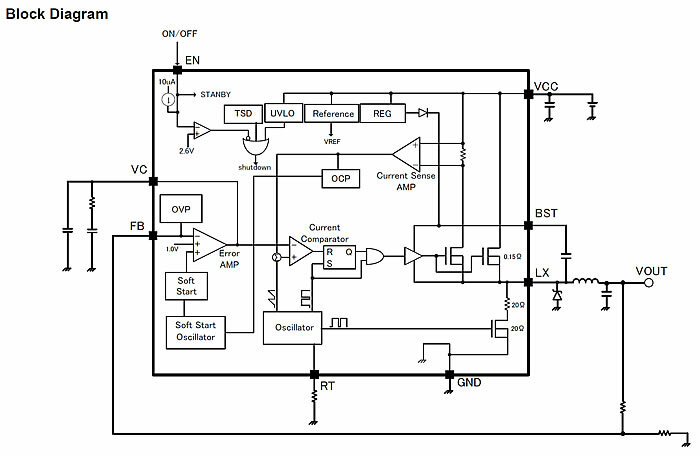 The BD9G341AEFJ utilizes ROHM's high voltage 0.6um BiCDMOS process to achieve an industry-leading maximum breakdown voltage of 80V (the highest in ROHM's non-isolated DC/DC converter line-up) and a continuous operating input range of 12 to 76V, while market-proven advanced analog design technology results in the highest conversion efficiency in its class. In addition, multiple protection circuits minimize heat generation, even during output pin shorts (contact), preventing possible damage and increasing reliability vs. conventional products. And the compact 8pin package requires fewer parts and reduces mounting area, contributing to easier PCB placement and end-product miniaturization. The BD9G341AEFJ is offered in a compact 8pin package (4.9mm x 6.0mm, t=1.0mm) and features a highly integrated design that reduces the number of parts required from 17 to 12, simplifying end-product design, BoM costs, and development efforts. The package is also thermally enhanced with a thermal pad under the device to allow the package to dissipate heat efficiently via the PCB substrate. The device has an operating temperature range of -40°C to +85°C. An evaluation board is also available for the BD9G341AEFJ, the BD9G341AEFJ-EVK-101 evaluation board helps designers quickly realise and test their designs reducing time to market. Anglia are offering customers a FREE evaluation board and samples of the BD9G341AEFJ Ultra-High-Efficiency 76V DC/DC Buck Converter from Rohm, please fill in the form below to register for your FREE evaluation board and samples now.